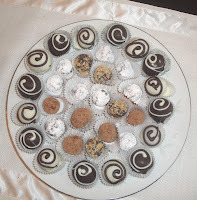 Thank you for stopping by to view my blog. I hope you enjoy reading it as much as I enjoy sharing my favorite thing to do. I am first a child of God. Wife,mother,grandmother,daughter,sister and friend. My faith is the joy of my survival. I recently went back to school and completed my MBA. 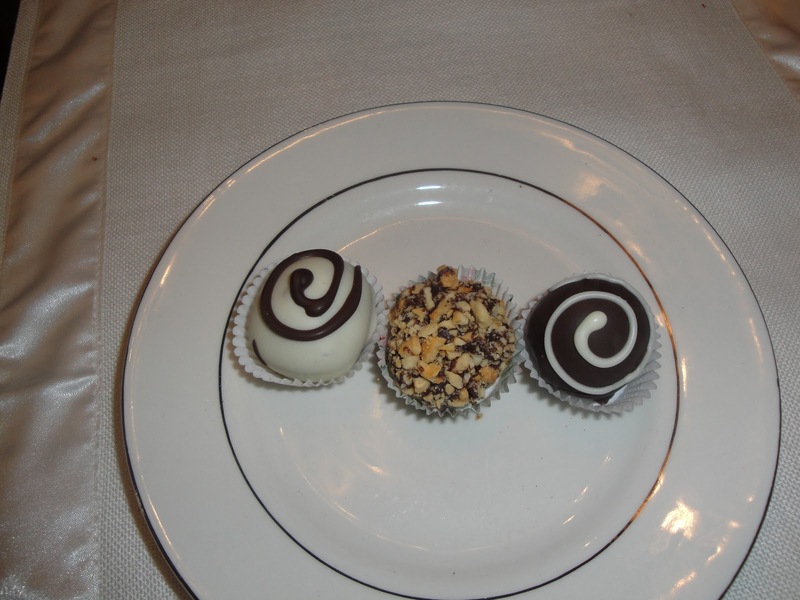 I continued my education by completing a professional chocolatier class. 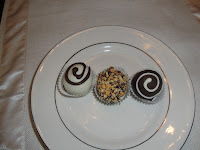 I will be practicing my truffle making with couverture chocolate until Valentine’s Day. I want to give my friends and family some of the really good stuff. Yes, I am barely done with Christmas and I am thinking about the most popular Holiday for chocolates. I am starting with the basic truffle recipe and I will branch out as my level of bravery progresses. 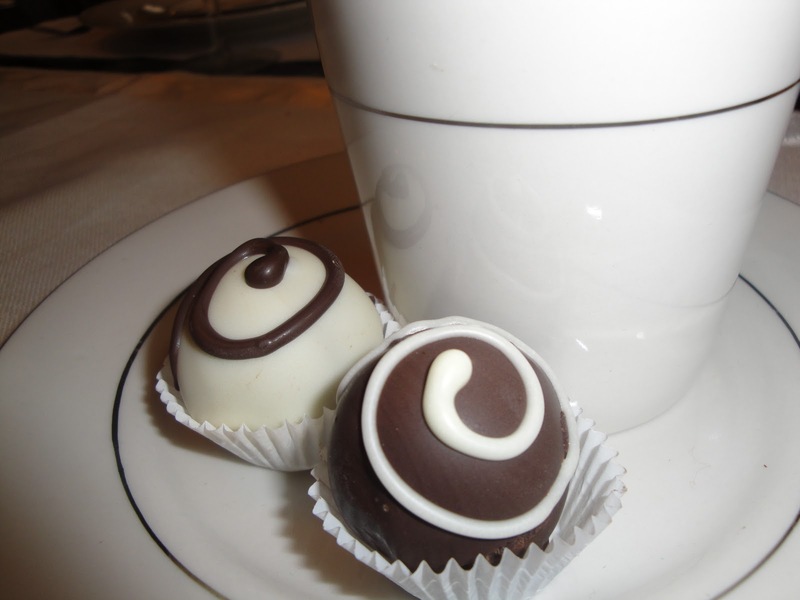 The wonderful truffle is the most basic chocolate treat; chocolate, cream and butter if you like. 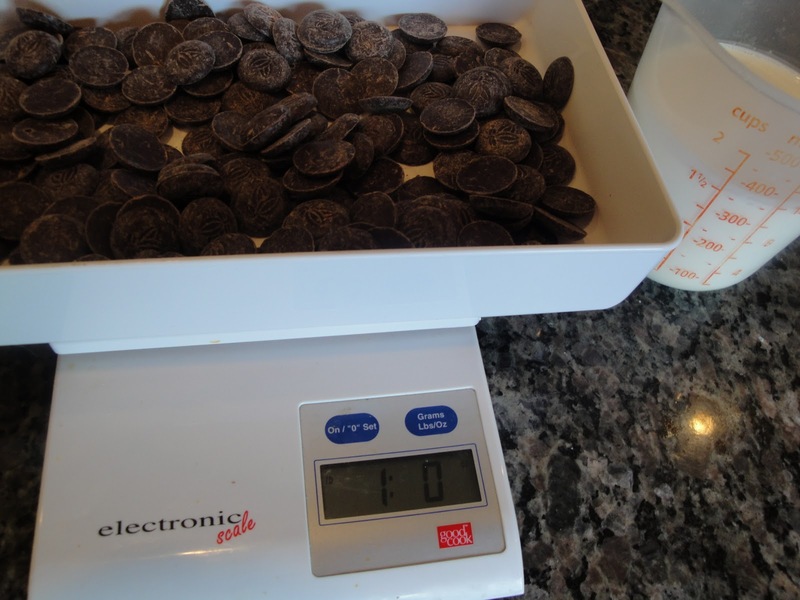 Truffles are like eating pure chocolate. 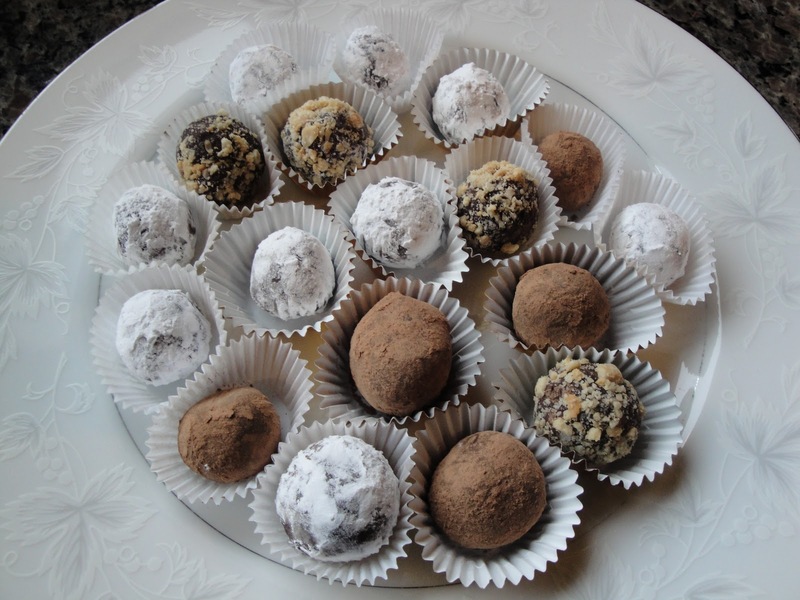 The great thing about truffles is the many flavors that can be created. I am planning to try the green tea truffle, espresso, cinnamon and cardamom, amaretto etc. There are many more options for flavors. Also there are many options for toppings. 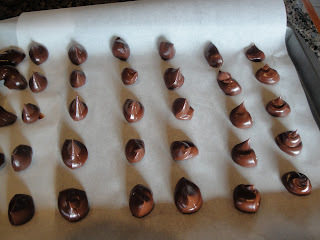 Plain cocoa is always a favorite and of course dipped in more delicious dark chocolate creating a nice shell is wonderful. Crushed nuts, powdered sugar and coconut are good too. 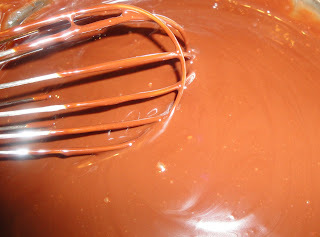 The challenge in my little truffle excursion is tempering the chocolate. I am always fearful that I won’t quite get it right. But this is a new year (soon) and fear must dissipate and triumph will prevail. That sounded good. I will let you know how it turns out. 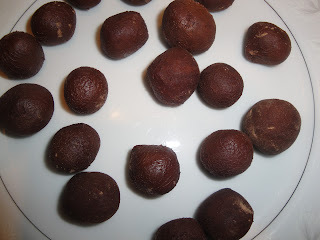 I highly recommend making truffles when you have other thing to do because the process is time consuming. 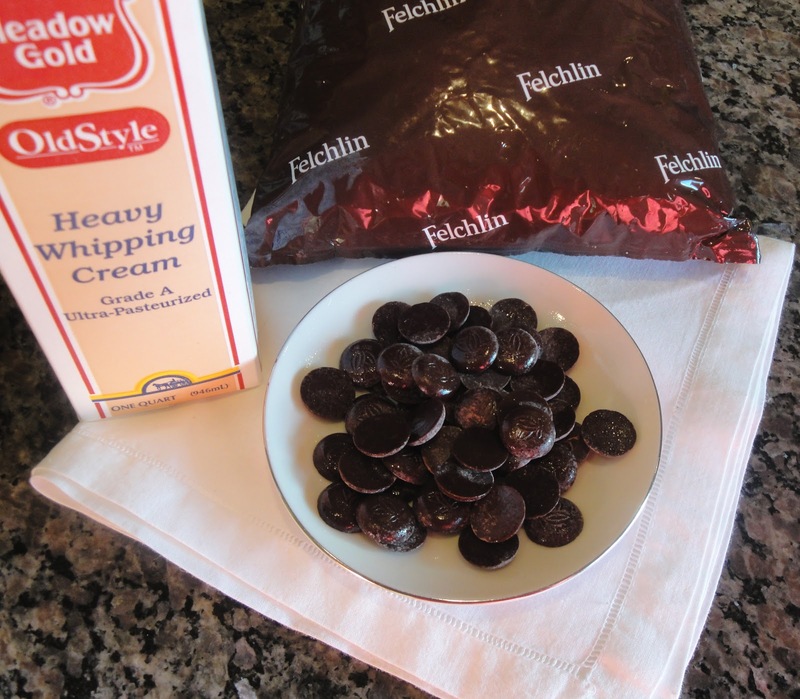 Place 1 pound of the chocolate into the mixing bowl. 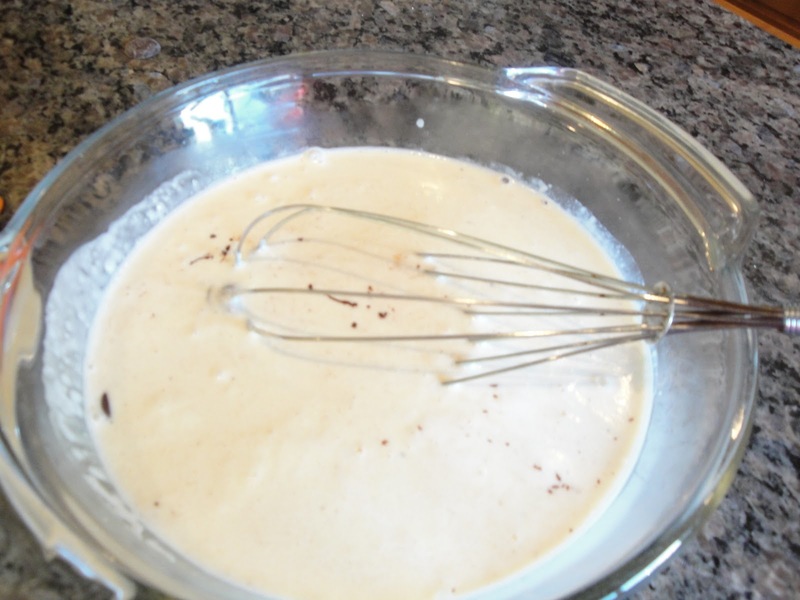 In the saucepan over medium heat bring the cream to a boil. Pour the cream over the chocolate and let the cream and chocolate sit for one minute, then, stir with a spatula or the whisk until completely blended. 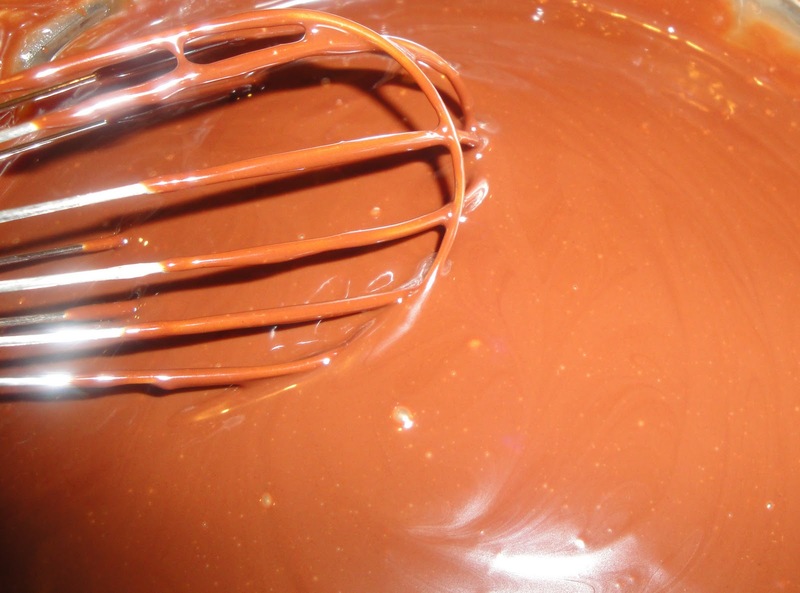 The chocolate should be silky and shiny. Cover the mixture and let it cool at room temperature. 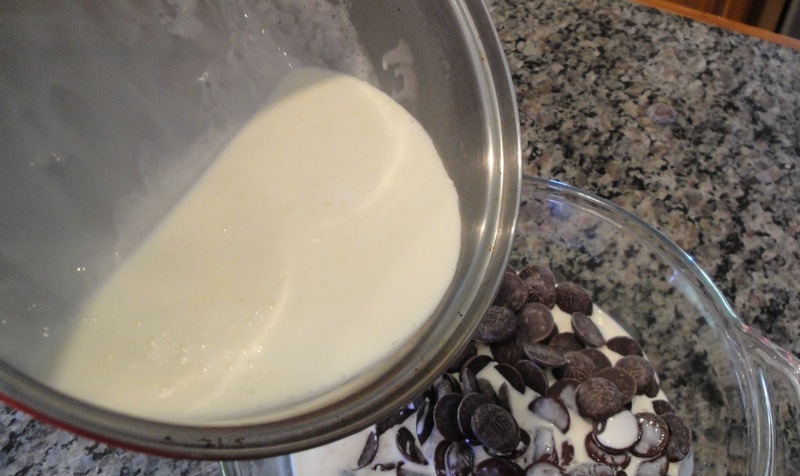 Next let the mixture cool in the refrigerator for 2 to 3 hours until thick. Use a small ice cream scoop or spoon to form mounds of the mixture unto the baking sheet lined with the parchment paper. 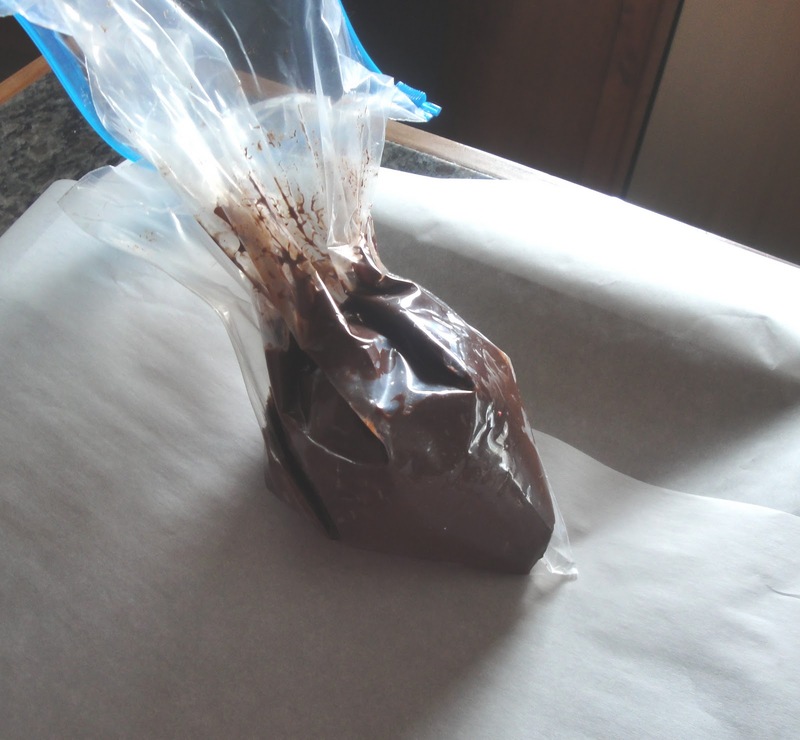 Cover with plastic wrap and chill in the freezer for 2 hours or the refrigerator for 6 hours. Tip: I placed the thickened truffle centers in a large freezer bag, clipped the corner of the bag and pipped the truffle center onto the parchment paper. This instead of the scoop. Neat and easy. 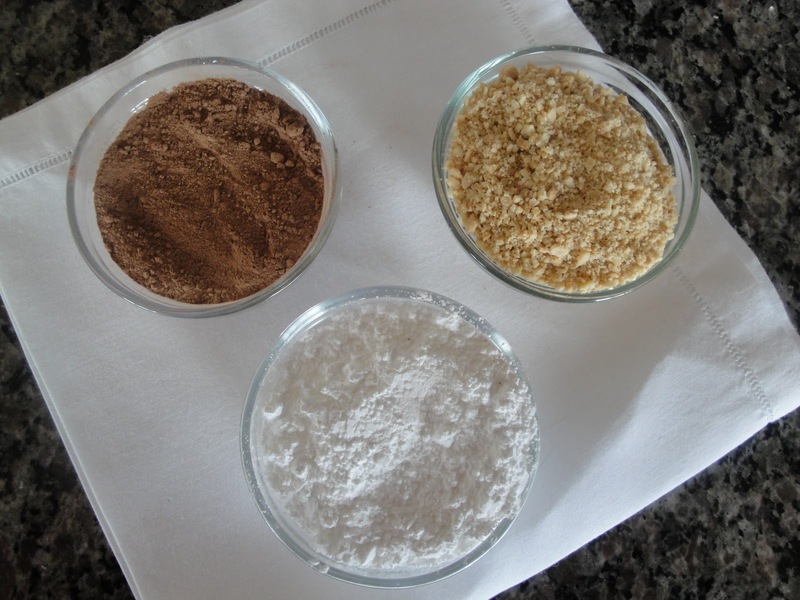 cocoa, powdered sugar, finely chopped cashews. 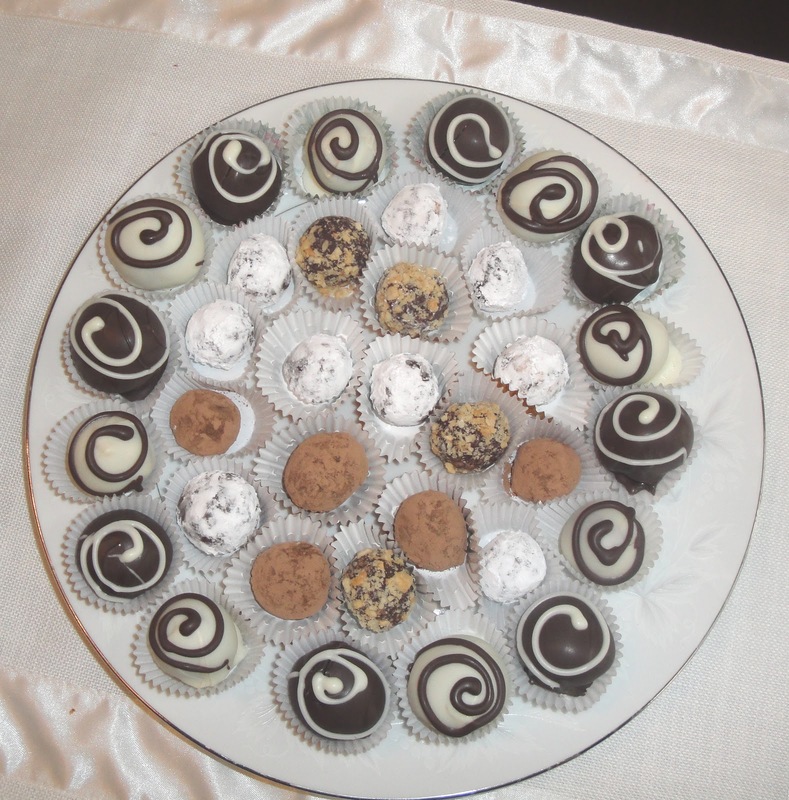 Your blog is yummy. It's eye catching and informative. Especially like your clear illustrations and step-by-step instructions.